"Abigail's Party" is a play by Mike Leigh that captures the quintessential feel of a 70s grown-up party, as opposed to a teenage party. The play opens with hostess, the scary, man-eating Beverly, getting herself in the mood for the party. She is wearing a red, low-cut, long and flowing dress. She puts on the provocative 70s classic "Love to Love You Baby" which was the first UK hit for Donna Summer, reaching number 4 in 1976. 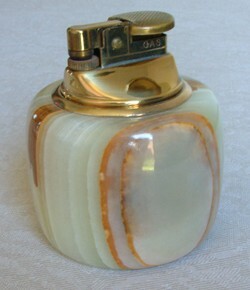 She lights a cigarette with an onyx table lighter and puffs it suggestively. Alison Steadman captures the essence of the role perfectly. Abigail, it transpires, is the teenage daughter of one of the neighbours, Sue. Abigail is having her own (teenage) party at Sue's house. Beverly has asked Sue around to meet the new neighbours, Tony and Ange. Beverly and her estate agent husband Laurence, are what we would later call upwardly mobile. Laurence has the complete works of Shakespeare (not something you would actually read) and a Van Gogh print which he is very proud of. Beverly has the latest leather 3 piece suite and a rotisserie (she's not actually used it yet). Abigail's Party is a great piece of drama drama in itself, but it gives us a fantastic insight into 70s middle class taste. Beverly prepares some nibbles - cheese and pineapple on cocktail sticks and crisps. Laurence wanted olives, Beverly didn't, so he had to get them himself! Drinks are Bacardi and coke, gin and tonic, lagers and light ales. Sue brings a bottle of red wine, which Beverly puts it into the 'fridge to chill! The decor in their house is expensive and designed to show what was considered "good taste" in the seventies. There is a tan leather sofa - in fact it's almost orange. The colour scheme is mainly shades of brown. In the dining area, the house appears to be open plan downstairs, the table has Marcel Brauer chairs with tubular steel frames. Above the dining table hangs a fake shell lampshade and a silver plated candelabra completes the ill-matching set. Ange, who has only just moved into her house, is impressed as Beverly gives her the guided tour. Beverly's taste in music extends to Demis Roussos. Laurence, ever pretentious, prefers classical music and "the promising flutist" James Galway. He is actually slightly ahead of popular taste with this, as Galway's "Annie's Song" was a big hit the following year. Across the road at the teenage party, the violent chords of punk rock waft across to intrude on Beverly's get-together. The generation gap in the 70s seems as wide as ever. I never tire of watching Abigail's Party. It is such a great period piece. It could only be the 70s and more than that, it could only be in 1977.